In many of the most successful franchise systems, the amount paid by the franchisee as the Initial Franchise Fee will typically be enough to cover the franchisor’s expenses that are related to getting that franchise up and running as a working, successful business. These expenses include training, advertising, and any costs related to securing or approving the location for that franchisee’s business, among other things. Therefore, the Initial Fee is not where the franchisor is making his revenue. 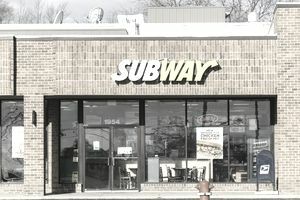 Instead, the ongoing Royalty Payments are how the franchisor makes its money, which it uses to support its franchisees and further build the business. Generally, franchisees see their ongoing Royalty Payments as tied directly to the ongoing support that the franchisor is obligated to provide them. Though this may not always be contractually the case, it is essentially how most franchise systems work. Generally, all the support provided by the franchisor through its field consultants, marketing plans, business strategies, etc., are funded through the Royalty Payments provided by the franchisees. Additionally, all the administrative costs of running the franchisor’s headquarters and staff are funded from the royalty payments. Lastly, the franchisor’s efforts to further expand and develop the brand through recruiting and bringing in new franchisees to the system is funded by royalties. There are a number of ways that franchisors establish what their ongoing royalty fee will be. The most common is a percentage of the Gross Sales that the franchisee earns. Typically this ranges from between five and nine percent. So, essentially, the franchise is taking in 91-95% of their gross sales with the rest going to the franchisor. Gross sales are the amount of revenues from the sale of services, goods, and any other products or merchandise by the franchise and is not reduced by any discounts given to employees or family members, taxes, or returns/credits/allowances/adjustments. In most franchise systems this percentage is fixed, but it can also be an increasing or decreasing percentage depending on the level of sales. Some franchisors require a minimum royalty payment for each period, whether by a percentage or by a set dollar amount. There are also franchisors that determine the royalty amount as a set dollar amount based on different sales thresholds. Further, some franchisors don’t require any ongoing royalty payment at all. The most successful franchisors will take great care in determining what their required royalty payments will be, whereas some franchisors will just use whatever their competitors are requiring, or just pick a number with little to no basis for it. Ideally, the franchisor will set the royalty amount at a level that will allow the franchisee to take home a healthy enough profit, after all, expenses, such that the business will be able to succeed both initially and ongoing.